I’m looking to purchase peptides ab1773 and ab7768, however before I do I need to know their molecular masses to determine if we can visualise them. 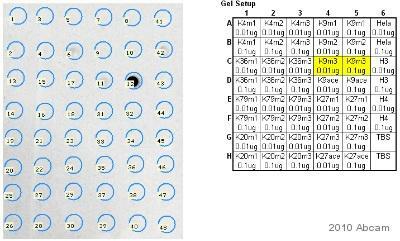 The product ab1773 and ab7768 are very small peptides; due to their low molecular weight these products should not be used in SDS PAGE experiments. We have tested these product for blocking the antibody active sites so these products should be used in blocking experiments or in applications as recommended on the datasheet.